Two totally trendy hats by Louisa Harding are available as a free pattern, exclusive to LoveKnitting. These hats are knitted with the luxurious Akiko yarn, a beautiful blend of Merino wool and baby alpaca. It is perfect for cooler weather – the name Akiko means ‘little autumn’ in Japanese! Akiko is an Aran weight yarn, perfect for cable and textured patterns. The 19 high-quality fashionable colours means you will be in season, every season. 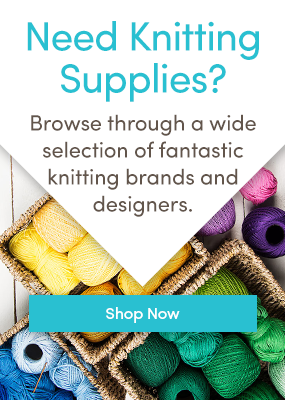 Knit for less! The full range of Louisa Harding including yarns, books, and patterns are 10% off until 10th October with the discount code GRACEFUL. Shop now! You may notice a change when downloading this free knitting pattern. The pattern above is featured on our free knitting patterns page on LoveKnitting and require you to create an account. If you’ve already shopped with us, then you will already have an account and can simply sign in. Many of you may receive our newsletter but have not yet created an account on our site. It only takes a few moments and once you have your free account, you can access all patterns that you download in your very own library! Learn more here. Thanks so much for sharing these lovely hat patterns! Thanks for sharing this pattern. My daughter is going to love the slouchy as she love cables. The hats are lovely. Thank you for the patterns. I don’t see the requirement for the lengths of the circular needles. Please advise. OK, I’m going to answer my own question here, which I have found through trial and error. Hope it helps others. The initial rib with US6 needles should be done on a 16″ circular needle to make the fit. Personally, I dislike using this size circular needle as the needles are short and uncomfortable to knit with. Once you change to the US8 size and increase stitches from 90 to 135, you can use a 24″ circular, much more fun. Designer: Please include circular needle lengths in the pattern! Thank you! I agree about 16″ needles being too small and hard on the hands. Use longer needles and pull them into the magic loop. I do this all the time. Love your free hat pattern with the cables. I do a Santa Sak for Christmad eve, so it would be nice to have something different. The yarn sounds yummy. Baby Alpaca & Merino, can’t go wrong . Also looking for a heavy cowl. one of the best designer for body shaping knitwear! Her color coices are just so chic! I love knitting, my friend has knitted lovely things from your patterns. I am having trouble with Round 3 and 4 of the saffron beret also, especially with round 4. With Round 3, sl1, K2, psso – do you pass the slip stitch over the 2 knitted stitches? Also with Round 4 after completing P3, K1 yo K1, (P3,K3) the stitches do not match the ribbing of the previous rows. I have gone on to complete more rows and it is not forming the pattern. Please help as I love this pattern.